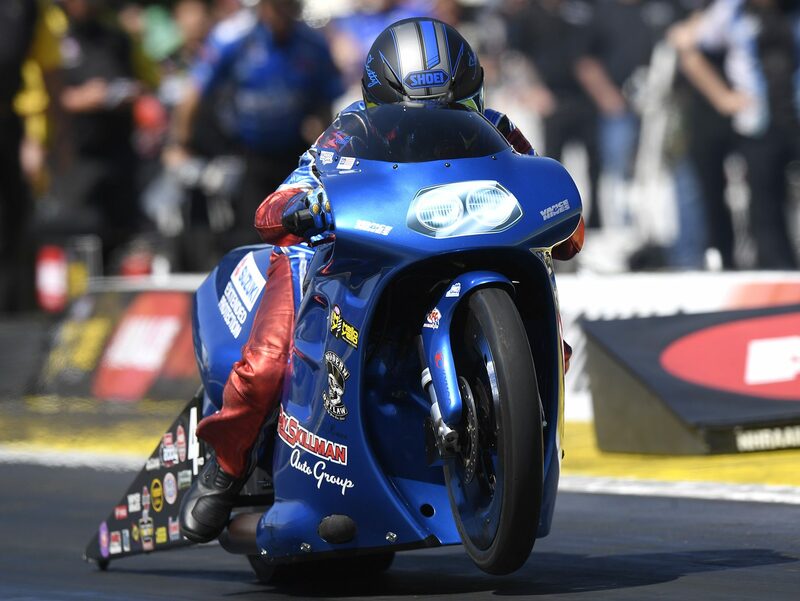 Thanks to a fast start to open his 2018 NHRA Mello Yello Drag Racing Series season, Pro Stock Motorcycle veteran Scotty Pollacheck appears closer than ever to his first career win heading to this weekend’s JEGS Route 66 NHRA Nationals at Route 66 Raceway. 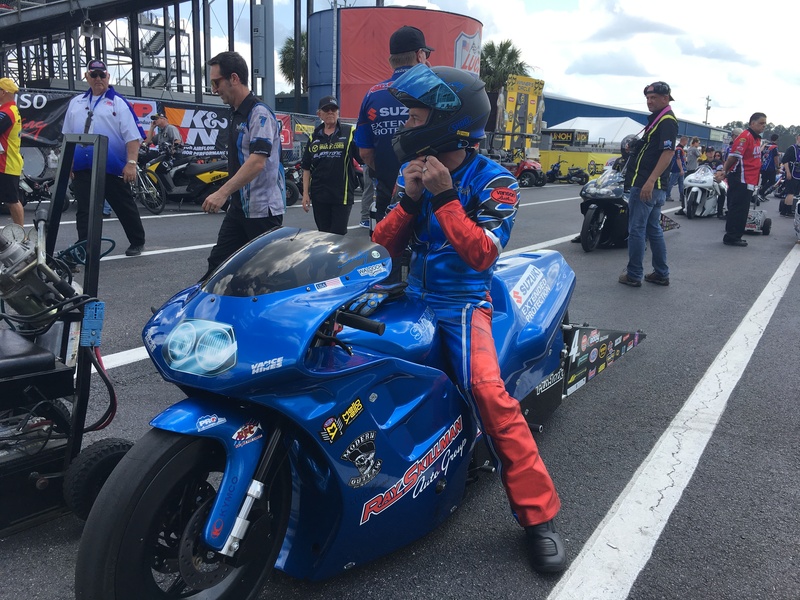 Making his 101st career start this weekend, Pollacheck heads to Chicago on the heels of a final quad appearance at the four-wide race in Charlotte and a runner-up at the most recent Pro Stock Motorcycle race in Atlanta on his Suzuki Extended Protection bike. It puts Pollacheck third in points in the talent-rich class and also in a strong position to claim his first career win this weekend. “We haven’t quite got lucky enough to get over that hump, but at least we’re there,” Pollacheck said. “I think we’re really consistent right now, and we’re right up there with the faster people holding our own. It feels like we’ve got a shot at it every time we race. We’re making good passes and progressing, winning some rounds and just kind of keeping everything together. 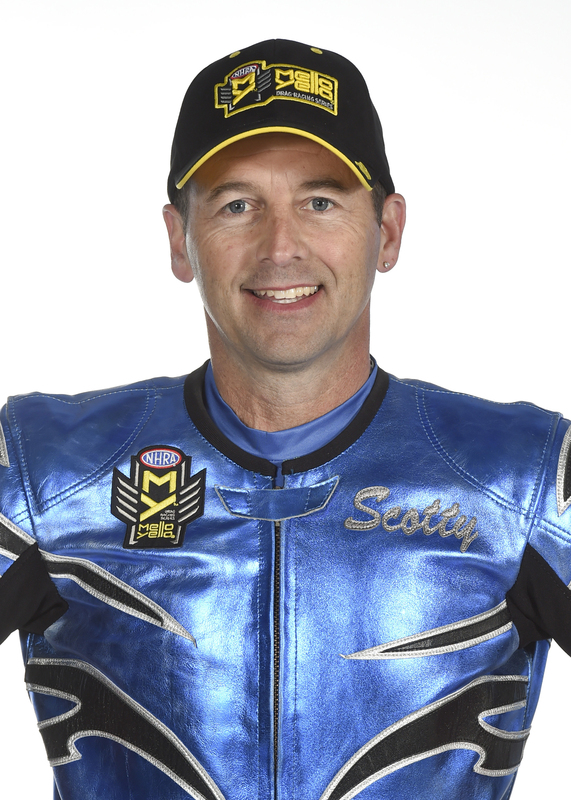 Steve Torrence (Top Fuel), Ron Capps (Funny Car), Drew Skillman (Pro Stock), and LE Tonglet (Pro Stock Motorcycle) were last year’s winners of an event that will be televised on FOX Sports 1, including final eliminations coverage starting at 5:30 p.m. (ET) on Sunday. 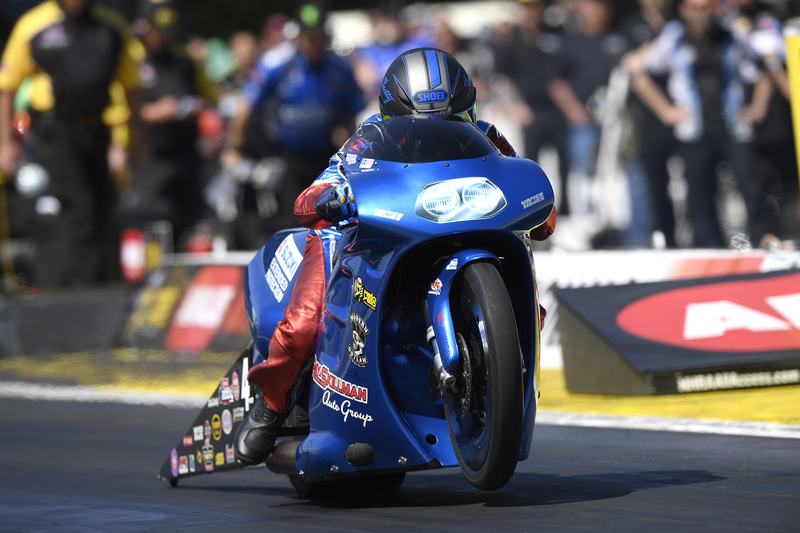 It is the fourth of 16 races during the 2018 Pro Stock Motorcycle season and Pollacheck has been impressive to open the year in part because of how well he finished the 2017 campaign. Joining forces with Jim and Greg Underdahl, as well as Gary Stoffer, was beneficial to close out last season as Pollacheck posted his first career No. 1 qualifier, adding four semifinal appearances in the Mello Yello Countdown to the Championship to finish a career-best fourth in points. Everything has stayed on course for Pollacheck and his team, allowing the longtime rider to settle into a rhythm quickly in 2018. 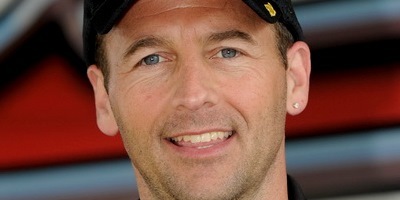 The carry-over has been impressive and Pollacheck will look to keep that momentum going in Chicago against a loaded field that includes Eddie Krawiec, the current points leader who has two wins in 2018, Charlotte winner Jerry Savoie, Andrew Hines, a five-time world champion, Hector Arana Sr. and three-time world champion Angelle Sampey. But the pressure of grabbing that elusive first win hasn’t bothered Pollacheck. His calm approach has led to a successful career and he’s confident it will lead to a victory in the near future, and possibly as soon as this weekend.